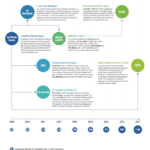 The last five years have seen significant expansion in our educational offerings. These different programs emerged from our commitment to meet the various needs of an expanding group of learners both within and beyond Toronto. For example, we developed a one-day QI workshop for individuals with little or no experience but wanted to gain exposure to QI. At the other end of the spectrum, C-QuIPS partnered with the University of Toronto Institute for Health Policy, Management and Evaluation to launch the first Masters of Science (MSc) with a concentration in QI/PS in Canada in response to a growing demand for advanced training that could prepare future leaders and academic clinicians in QI. Some graduates of our programs have themselves played a meaningful role in QI/PS education; for example, a graduate of our MSc went on to lead the process of adapting the Royal College’s ASPIRE (Advancing Safety for Patients in Residency Education) train-the-trainer faculty development program to be delivered internationally. Most recently, we created the EQUIP (Excellence in Quality Improvement) academic certificate program to increase our national and international reach. One of C-QuIPS’ more innovative programs is the Faculty-Resident Co-Learning Curriculum in QI that began as a pilot program in the Department of Medicine in 2011-12 with three subspecialty programs, but has since grown to over 35 training programs and over 200 participating residents across the Departments of Medicine, Paediatrics, Surgery and Laboratory Medicine & Pathobiology in 2016-17. The novel approach of bringing faculty and residents together to learn about QI addressed the dual goals of supporting resident QI project efforts while ensuring that faculty develop the necessary skills to supervise and teach QI effectively. This program has garnered national and international interest, and has been the focus of two peer-reviewed manuscripts, one of which was published in Academic Medicine. In 2016, the Co-Learning Curriculum received the University of Toronto Helen P. Batty Faculty Development award for innovation in program development and design. UofT C-QuIPS – SickKids Site, Suite 630, 525 University Ave., Toronto. The workshop is delivered to professional groups of 15-20 participants. Aspects of the workshop are customized to meet the distinct needs of the professional group. From these very successful MRP Workshops, the Centre developed two-day intensive Safety and Quality Improvement Workshops. First offered in Fall 2011, these workshops are geared towards those who have little to no background in this field and would like to learn more, but do not have the time to devote to a course running over several months. Previous participants have come from a broad range of professional roles including physician and nursing groups, and represent institutions including major teaching hospitals and community hospitals as well as the University of Toronto and University of Buffalo. Is your Institution or department interested in offering a QI workshop? The Certificate Course is aimed at health professionals (e.g., clinicians, allied health professionals, administrators) whose work relates to patient safety or quality improvement, as well as senior trainees considering a focus on patient safety and quality improvement for their careers. The course consists of approximately 60 hours over ten months, covering core concepts in patient safety and quality improvement, using a mixture of didactic lectures, interactive workshop-type sessions, workplace-based exercises and presentations by class participants. Throughout the course, participants will carry out a patient safety or quality improvement project as a means of getting practical, hands on experience, while simultaneously applying the core learning concepts. Participants will frequently engage with various mentors one-on-one throughout the course, creating a rich learning environment, and increasing the success of their proposed projects. This course also provides an opportunity for participants to network with other individuals passionate about patient safety and quality improvement. The relationships built often continue beyond the duration of the course, which many previous participants have found beneficial as they continue to build their careers. The Certificate Course received the 2010-2011 Colin Woolf Excellence in Course Coordination from the University of Toronto and we will be applying for accreditation by the University of Toronto CPD for 2019-2020. In order to successfully obtain the Certificate of Completion, participants must complete three exercises/assignments that are based in their clinical work (e.g., a PDSA cycle, a stakeholder interview, a process map of a clinical process related to a larger QI project). Dr. Eric Tseng took the Certificate Course in 2013-14 as a Chief Medical Resident in General Internal Medicine. His project focused on implementing an orderset and checklist to improve transfusion practices at Sunnybrook Health Sciences Centre with the ultimate goal of reducing blood transfusion associated complications, specifically transfusion-associated circulatory overload. He recently published his study in the journal Transfusion Medicine, co-authored with Dr. Yulia Lin, who is also a graduate of our course (2014-2015). You can read more about this project here. Dr. Meiqi Guo took the course in 2014-15 as a PGY4 in the Physiatry residency program at the University of Toronto. She discovered that patients who had suffered a recent stroke were rarely offered the opportunity to discuss sexual health concerns. Using a collaborative, multidisciplinary approach, she and the rehabilitation team at West Park Healthcare Centre made numerous changes to the standard care plan of stroke rehabilitation patients — after 10 months, 80% of patients were offered the opportunity to discuss sexual health. She published her work with Certificate Course mentor Dr. Alex Lo in BMJ Quality Improvement Reports. More on the success of her project can be found here. The VAQS fellowship program began in the late 1990’s and has been recognized as one of the most comprehensive and established Quality Improvement (QI) training programs in North America. This two year research program designed to nurture fellows and junior faculty to develop a career in research, in QI and health services, or in QI within the framework of leadership in medical administration, education, or clinical practice. The VAQS program is intended for health care professionals in advanced stages of training or junior faculty who would like to pursue academic careers in quality improvement and patient safety. The VAQS program is designed using a ‘hub and spoke’ model. The program center (hub) is at Baylor University Medical School where local faculty run the program centrally, and work in direct partnership with the VA Office of Academic Affiliations, which oversees all Special Fellowship Programs in the VA. There are eight other sites (spokes) in different geographic locations across the United States. Toronto is the ninth site and the only non-American site for the VAQS program. Sites function independently. 2pm-3pm: two-way interactive videoconference (TWIV) sessions across all VAQS sites. 2. Mandatory attendance at the VAQS Summer Institute in Houston, Texas. For 2019/2020, dates are Tuesday August 13th 2019 – Thursday August 15th 2019. 4. Bi-annual one-on-one meetings with Course Co-Directors and Coordinators to discuss progress, participation and research and academic goals. Are you interested in learning more about the VAQS in Toronto? Contact Program Directors: Dr. Jessica Liu, MD MSc (Jessica.Liu@uhn.ca), Nely Amaral, RN, BScN (Nely.Amaral@sinaihealthsystem.ca), & Dr. Chaim Bell, MD PhD (cbell@mtsinai.on.ca). Many residency programs are committed to teaching QI to their trainees, but lack the faculty capacity to deliver a formal QI curriculum. The Faculty-Resident Co-Learning Curriculum in QI, created by Drs. Brian Wong and Kaveh Shojania, addressed this need by taking the innovative approach of teaching faculty and residents together, with the goal of developing a cadre of expert faculty who could eventually teach QI to others. The idea was that faculty could attend the curriculum, observe how QI was being taught, and then develop the necessary skills to become teachers and mentors themselves. The curriculum consists of 2 workshops, typically in September and January, and a final session in June that involves a keynote speaker and group project presentations. Each group of residents is expected to conduct a QI project supervised by their Co-learning faculty. Based on positive participant feedback, the program saw rapid expansion from a pilot program for 3 subspecialty medicine programs in 2011-2012 to 15 subspecialty programs in 2014-2015 in the Department of Medicine, and three subspecialty programs in the Department of Pediatrics. As of March 2015, we have taught nearly 60 faculty members across all academic job descriptions and rank from the Departments of Medicine, Paediatrics, Surgery, Ophthalmology and Palliative care, and developed 8 QI teachers and over 20 QI mentors. The emergence of these skilled QI teachers and mentors illustrates both the positive impact that the curriculum has had from a faculty development standpoint, and its long-term sustainability. Many of the projects carried out as part of the Co-Learning Curriculum have been extremely successful, and have been presented as abstracts at national (10 projects) and international meetings (5 projects). Two projects won conference awards, the most notable being the Presidential Poster Competition Award Winner awarded to the residents in the Endocrinology training program at the international Endocrine Society meeting. For more information, please see our brief report published in the Journal of Graduate Medical Education published in December 2013. The Master of Science in Quality Improvement and Patient Safety, inaugurated in 2012, is a collaboration between C-QuIPS and the Institute of Health Policy, Management and Evaluation (IHPME) at the University of Toronto. Dr. Ross Baker is the Program Lead of the program, and Drs. Shojania, Patricia Trbovich, and Anne Matlow are core faculty. Dr. Wong teaches an elective and Dr. Coffey is a guest lecturer. The Masters aims to graduate individuals with the knowledge and skills to lead, research and teach health care QI/PS. 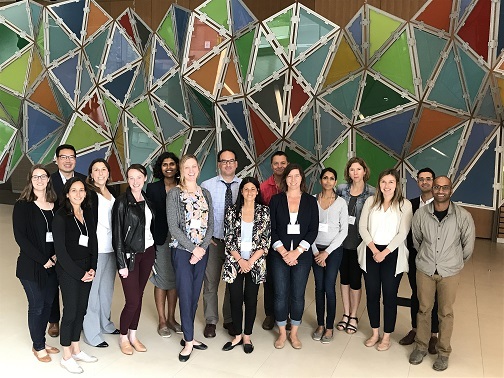 The one-year program is geared to individuals working in the health care system and already engaged in QI/PS work, as well as individuals interested in pursuing a professional career in QI/PS. The curriculum is structured to teach students the theoretical knowledge of quality improvement science, patient safety, and health care leadership, while guiding them through their own QI projects in their workplaces. In addition to the core faculty, local and external guest speakers provide insights to a range of QI/PS topics and initiatives. The program is one of only two QI/PS graduate programs in Canada and receives application from individuals across the province and county. For more information, please visit: http://ihpme.utoronto.ca/academics/rd/qips-msc/. 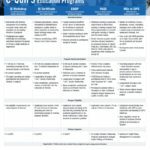 EQUIP (The Excellence in Quality Improvement Certificate Program) has been uniquely designed to address the specific learning needs of faculty members and physicians working in academic settings (i.e., including academic medical center, teaching hospitals, and other related clinical learning environments). The goal of the EQUIP program is to train academic QI faculty champions and increase the number of academic departments/universities that have an identified faculty lead who can advance the practice and education of QI. The EQUIP program consists of 5 days of in-person training over the course of 9 months. Participants travel to Toronto, Canada twice – once for 3 days (July ) and then again for 2 days 9 months later (May ). In between there are a series of webinars and coaching from September to April.